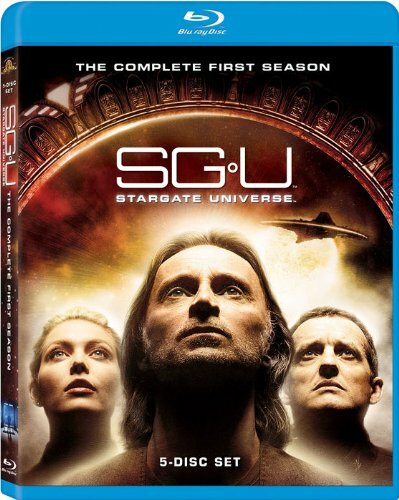 Order ‘Sgu Stargate Universe: Complete First Season’ [Blu-ray] starring Alaina Huffman, available from Amazon.com by clicking on the Blu-Ray disc above! Alaina Huffman is a double-dipper.When it comes to commanding the hearts and minds of fanboys—and, no doubt, fangirls—the world over, Huffman holds not one but two roles of substantial interest in the TV sci-fi/comic book universe. On The CW’s long-running “Smallville” series—you know, where Clark Kent is no longer a Superboy, but not quite a Superman—she is the Black Canary—the fishnet, leather-clad blonde Green Arrow has stashed on his balcony. She also returns for the Friday, May 14 finale of “Smallville” on The CW. It’ll be a big night in the Huffman house, no doubt!